ECHORD's follow-up project ECHORD++ (started in October 2013) has a new website. 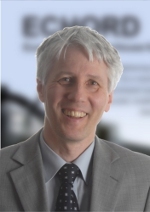 Please visit us at www.echord.eu. Now available as print and e-book is a collection of scientific contributions about the results of 15 experiments funded within the first ECHORD project. 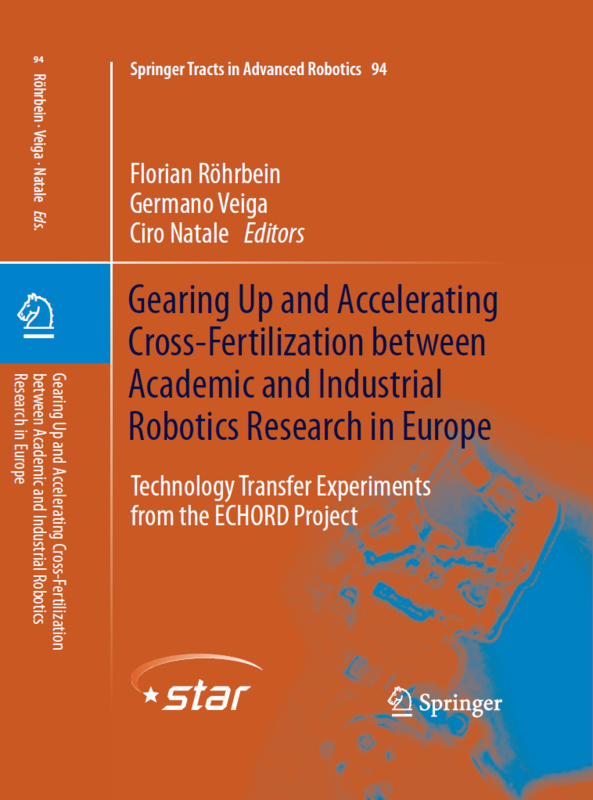 Florian Röhrbein, Germano Veiga and Ciro Natale are editors of the volume named "Gearing Up and Accelerating Cross‐fertilization between Academic and Industrial Robotics Research in Europe - Technology Transfer Experiments from the ECHORD Project." The book gives an excellent insight not only about the scientific scope of ECHORD but about the many advantages of a collaboration between robot manufacturers and research institutions. Get your copy here. ECHORD has hold a workshop on “Scientific and Structural Achievements from Academia-Industry Projects” at the RSS 2013. Three years after the beginning of the largest project in European robotics, the workshop reflected and projected the exchange of knowledge and experience between academic researchers and practitioners.